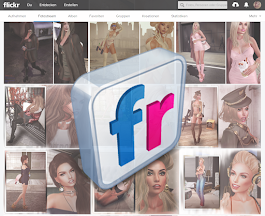 Second Life - LOOK GREAT -: Follow Your Retro Dreams! Dress Sophia by ~Nerido~ @ Blush - NEW! Heels Adeline by .:::ChicChica:::. @ Blush - NEW! Necklace Within my Heart by . ::Nanika::.